This week LATTE chats with Neil Rodgers, Managing Director at Adventure World Travel, The Travel Corporations’ soft adventure travel brand. Earlier this year, Adventure World Travel picked up the AFTA National Travel Industry Award for ‘Best International Wholesaler’. Neil, according to your LinkedIn profile you’ve been with Adventure World Travel for 11.5 years, working your way up through the ranks. 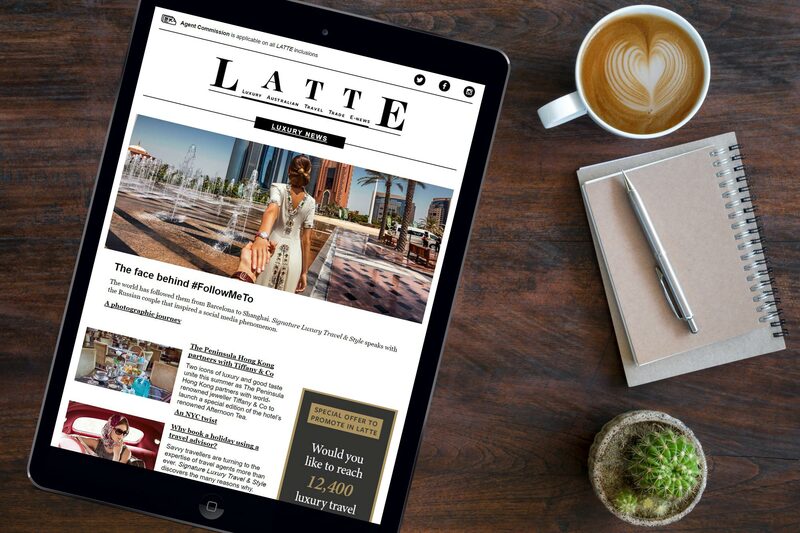 Can you tell LATTE readers where your travel industry career began and some of the other roles you’ve held? Truth be told, I’ve actually been with Adventure World for over 15 years, as I started my tenure with the company in New Zealand as their marketing manager. You’re correct in that I have experienced different divisions within the company, having headed up marketing, sales and product before becoming MD three years ago. It’s quite funny that Adventure World is turning 40 in 2019, as I’ll welcome my fourth decade too! You’re a native Irishman, if I’m not mistaken. (The accent is a bit of a giveaway!) How long have you been living in Australia and how often do you get ‘home’ to your roots, and what is it that you miss about Ireland? Yes, I was born in Northern Ireland and I am very lucky to usually find myself travelling somewhere in Europe for a conference, so I get to visit the family homestead most years. I became an Australian citizen five years ago and I’m finding my concept of ‘home’ is changing away from my Irish roots. My parents have joined me on numerous Adventure World trips, most recently on a soft-adventure journey in coastal Oregon. So, I really do have the best of both worlds. Did you know from a young age that you wanted to work in the travel industry, or did you fall into it? If not travel, what industry where you bound for? Growing up in Belfast during the period of the Troubles made me yearn to escape and travel, it was a very bleak place with limited opportunities at that time. I would immerse myself in copies of National Geographic with its articles on the mysteries of Easter Island and African wildlife adventures. I can’t think of another industry I would want to work in, but it would have to be something I could be passionate and creative about. In your role as Managing Director at Adventure World, are you hands-on with sales and product development? One hundred per cent. Product development is what I enjoy involving myself with the most, and with the unique and diverse array of what we procure, you couldn’t help but be excited. I’m constantly working alongside our Product Managers on what trends we are seeing in the local market and what emerging products in destination will resonate with Australian travellers. Regarding sales, you will usually find me working the expo booth whenever I have the chance. I learned from my previous CEO Keith Stanley that you need to be at the “Shop-Front” of your business to be successful. What and/or who motivates you? That’s an easy one: it is the team I work with. Each of them has such an infectious passion for their destination and product that is contagious. What has been your proudest achievement at Adventure World, and why? In 2018 Adventure World took home the National Travel Industry Award for ‘Best International Wholesaler’ which was truly the icing on the cake. To be recognised by the industry is very humbling, especially in a category which is dominated by major mainstream players. I was on a train to Budapest at the time it was announced as I had just left the Flight Centre Global Achievers celebration, but I was delighted our full leadership team was in attendance to celebrate. Rest assured I toasted our success from afar. What have been three of the most unique travel experiences that you’ve had in your time at Adventure World Travel and what made them so special and memorable? Adventure World Travel continues to push the boundaries as far as unique and bespoke product in the countries it brochures. How does your team find these exotic and far-flung products and destinations? The product teams spend the vast amount of their time in destination. That is truly the best way to become abreast of new developments and to always ensure your portfolio is of the highest standard. What other regions of the world is Adventure World Travel looking to expand and offer a more diverse program in the years to come? Not so much in the way of new destinations, but rather establishing Adventure World Travel as a global brand. The Travel Corporation has plans to take us into the North American Market, and I am delighted to be working on how that will look for a potential launch in 2020. And LATTE’s signature question. Where is your favourite coffee shop, and what is your ‘go to’ order? I am a resident of Elizabeth Bay in Sydney, so early mornings after my run you will find me at The Lookout in Beare Park Marina enjoying a skinny flat white.